You can visit the Old Rhinebeck Aerodrome in Rhinebeck, NY not far from exit 19 on the New York State Throughway. On Saturdays during the summer and early fall the Old Rhinebeck Aerodrome hosts a Lindbergh Era Air show. 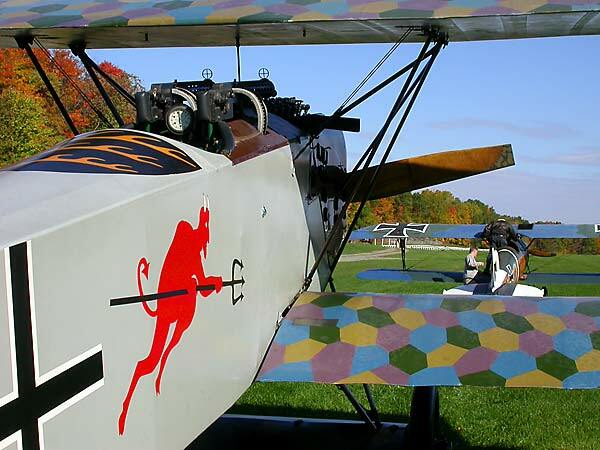 On Sundays the Old Rhinebeck Aerodrome holds a WWI era airshow, with a very campy story line running from ground to air. A fair maiden, Trudy Truelove (the same chick I saw there when my father took me as a kid 20 years ago! She must have a formaldehyde jacuzzi!) is kidnapped by the evil Black Baron, carried around the airfield, trundled into a biplane, and then free falls back to earth. 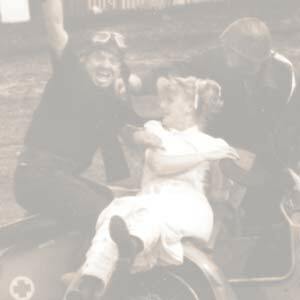 Percy Goodfellow makes a good effort of attempting to rescue Trudy by trying to start a Russian motorcycle that won't, grinding gears in old jalopies that will, and of course escalating the persuit into a WWI dogfight with biplanes and triplanes with bombs & babes falling from the sky. It is good fun, although if you had been back in the 80s when Colin Palen was still alive and running things you will find today's shows to be a bit more sedate. Where Colin did all in his power to get each plane into the air, the museum is now much more conservative. They no longer fly the Curtiss Jenny biplane and the rotary engined biplanes no longer take to the sky. The Flying Farmer act continues, although he flies higher and further from the airfield than in the past. The Flying Farmer's skills with his J-3 Piper Cub are truly amazing. It's still a good time and kids love it. If you are headed up to the Old Rhinebeck Aerodrome for the Sunday WWI airshow, I'd recomend going early. You can get a ride in a restored New Standard biplane (the ride waiting list fills up quick as they can take only 4 passengers at a time) that takes you up and out over the Hudson and countryside for I think about 20 minutes. You'll also want to spend some time in the museum hangars above the parking lot with the indoor exhibits. Colin Palen amassed an amazing collection of early aviation artifacts, many of which are extremely rare. Colin must have had a gift for talking folks out of these pieces. Although those that knew of him knew that they would find a good home with Colin. There is a snack bar with burgers & dogs on site so you don' t have to leave the airfield to grab a bite for lunch. The Sunday WWI Airshows start after lunch and run from early summer to October. Check with the Old Rhinebeck Aerodrome's Website for hours and Directions. "The Avro 504K is in flying condition. I saw it fly this past fall so expect it to see action for this upcoming season. I'm not sure about the Nieuport XI. I believe it is undergoing restoration. The Sopwith Camel is in the process of being restored. I'm not sure if it will be flying this season. If not, expect it by perhaps 2010. The Caudron G.3 is flying. With the return of the Avro 504K, they'll be two rotary powered aircraft flying at the Old Rhinebeck Aerodrome this upcoming season. They are flying two New Standard D.25s. The Curtiss Jenny is flying. The SPAD VII is flying. The Fokker D. VII is flying. The Fokker Dr.1 is flying. FYI, there is a Fokker Dr. 1 with a rotary engine in Texas that flies. I think the Albatros D.Va is flying. There are other flyable aircraft at the Old Rhinebeck Aerodrome currently. Stan Segalla has retired as the Flying Farmer. I'm not sure who is going to take his place this upcoming season. Stan might still come to the Old Rhinebeck Aerodrome since he has been such a fixture there. " "I was to the Old Rhinebeck Aerodrome on October 11, 2009. I have some news for you. 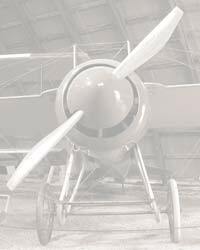 The Sopwith Camel was test flown two weeks before and is expected back in action next season. The AVRO 504K is active. The Fokker D.VII will probably be back in action next season. The Albatros D.Va is active. The Wright powered New Standard D-25 is flying. The White built Continental powered New Standard D-25 was in a minor incident on July 26 and is out of action until next season. The issue was a punctured tire that caused the plane to go off the end of the runway. There was no apparent damage to the aircraft. There is a Nieuport 27 that is flying but it doesn't have a rotary engine. The SPAD S.VII is flying. No more flying farmer act for the time being. The Tiger Moth wasn't flying this season, but is still in good condition. It might fly next season, but probably Bill King's sons will likely fly it since Bill King is over 80 years of age and it would be expensive for him to get air show insurance. Eventually the reproduction Spirit of St. Louis will fly, but funds are very limited at this time. Sometimes they fly the Bleriot XI, but it is an aircraft that is barely controllable. In the case of the Bleriot, you don't fly it, it flies you. Biplane rides are now $65. I recall when they were $25. Then of course there are the museum buildings. They still have their original Nieuport X that was once flown by Charles Nungesser. It did fly at the Old Rhinebeck Aerodrome for a few years. However, they decided to keep it on the ground since it is a very rare aircraft. They also have an original Morane Saulnier A.1. I saw that plane fly a few times. That plane was ahead of its time. It also had and still has a very noisy 160 H.P. Gnome rotary engine. It least they don't try to run up the engine in the museum building. It would certainly make quite a racket."